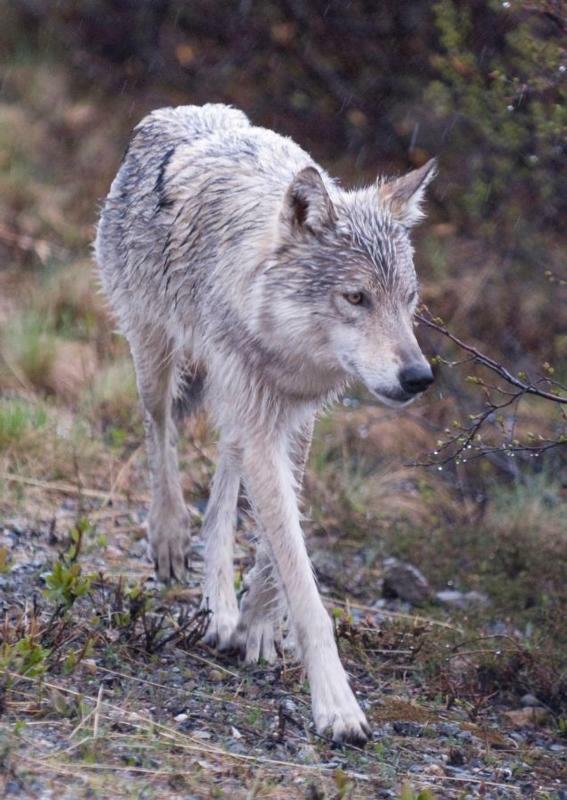 After a survey conducted last spring in Denali National Park and Preserve, biologists found that the wolf population in the area was drastically decreasing. It was the fourth lowest count found in the past 30 years. In total, there were only 51 wolves counted, among 13 packs in the entire six million acres of Denali National Park. At right, Denali National Park. Below, Biologists have been studying wolves in Denali since the 1930s (Photos courtesy of the National Park Service). Though these are some of the lowest numbers recorded, the decline in the wolf population does not come as a shock to park authorities. But this time, the caribou population in the parks is not decreasing. In fact, according to Arthur, caribou numbers are beginning to increase. Click on the video at left to view an audio slide show about predators in Alaska prepared by writer Kacie Nelson. The decline in the wolf population in Alaska, can most certainly be attributed to the intensified “predator control” laws in place by recent Republican governors in the state. 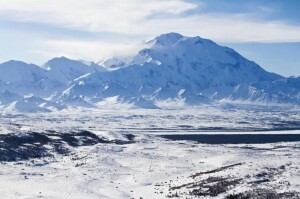 Alaskan winters are tough, especially on the people living there, so food sources are vital to surviving through the long winters. With heavy inflation on normal grocery items, such as a $14 standard box of cereal, Alaska’s inhabitants rely heavily on successful hunting. Thus, the state law places a high importance on maintaining high populations of game animals like caribou. Such laws have been in effect since 1994. However, in 2002 when Republican Gov. Frank Murkowski took office, one of his first actions was to revamp the Alaska Board of Game. This is the governing body responsible for most wildlife decisions. Soon, it became common practice to shoot wolves, bears and other predators from the air. During the next decade and two more Republican governors, predator control grew even more intense. 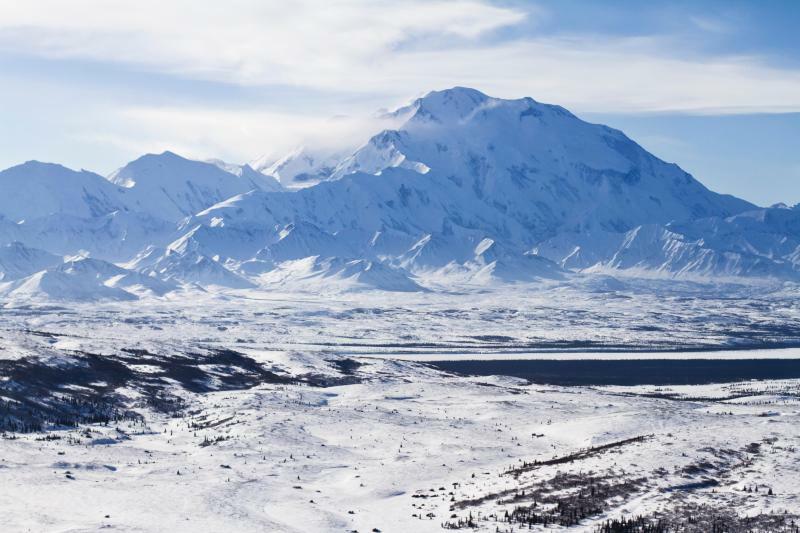 The 122-square-mile buffer that served to protect wolves around Denali National Park was eliminated. 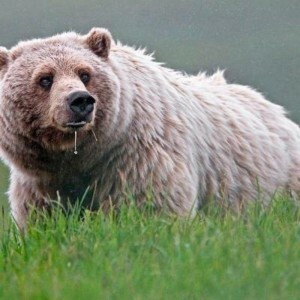 Hunters have been allowed to bait bears with food and other methods out of their dens to shoot them as they emerge. Officials also extended the wolf and coyote hunting seasons to stretch through months when the animals have their pups. The National Park Service has been actively trying to stop such violations since 2001, and has since asked the State Board of Game 60 times to exempt such hunting practices. The board has refused every time, furthering the feud between the state wildlife agencies and the National Park Service. However, in September 2014, NPS proposed a sweeping rule that would ban baiting brown bears, killing wolves and coyotes when they have pups, and killing black bears in their dens in national preserves. The proposal was up for public comment through Dec. 3, and is expected to be implemented in 2015. “These proposals, if finalized, codify long-standing prohibitions for wildlife harvest seasons and methods that were traditionally illegal under state law, but in recent years have been authorized by the State of Alaska in an effort to drive down predator populations and boost game species,” NPS Alaska Regional Director Bert Frost said. Brown bears and grizzly bears are classified as the same species and are differentiated by their geographic location. Brown bears are found near the coast while grizzlies are found inland. However some might add that federal action is well warranted and necessary. In May 2014 alone, the Alaska Department of Fish and Game shot 64 black and brown bears, bringing the total number bears shot in a two-year effort to 153. The two-year program was implemented in an effort to help the declining moose population in the area but, according to biologist Vic Van Ballenberg, this is not the answer. “The state’s data regarding the effects of predators on moose weren’t sufficient enough to justify shooting bears from helicopters,” Van Ballenberg stated. Though Van Ballenberg calls the program “extreme,” Fish and Game spokeswoman Cathie Harms addresses concerns about the controversial program. “I think the most common perception is that the first management program to be considered in Alaska is predator control and the opposite of that is true,” said Harms. Harms also explained that the live capture and relocation of the predators was an option. However, there is no place to put them where people have not already objected. She also maintained that the bears that were killed as part of the program were used for good. After being skinned and processed, there was nearly three tons of meat that they were then able to distribute to residents among 10 western interior villages. Hides from the smaller bears were also distributed to village residents and those from the larger bears will be available for purchase at auction. When asked about information regarding wolf control in the region, Harms said that information has not been released by the state as of yet.